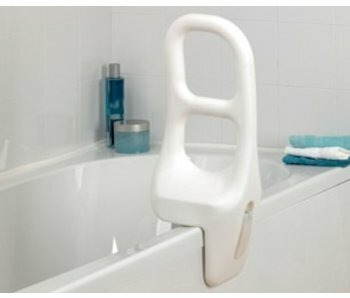 Sturdy plastic handle which ensures a firm support in and out of the bath steps. The handle is completely in plastic so it feels pleasantly warm. The clamp is coated to prevent damage to the bath.